Quiet Life: When Does Your Rooster Crow? When Does Your Rooster Crow? Ah, Peter. The outspoken, impulsive disciple. He was zealous, eager. He'd promised to even die for Jesus, then, a few hours later, he denied he even knew him. Not once, but three times, within Jesus' hearing. Then Jesus turned and looked directly at Peter and Peter remembered. Jesus knew. ​Peter’s trinity of denials during the last hours before Jesus was crucified showed him his own fallability. Jesus responded the next time they were face to face, after his resurrection, with probing questions but ultimately giving Peter ultimate grace, forgiveness and his commission. 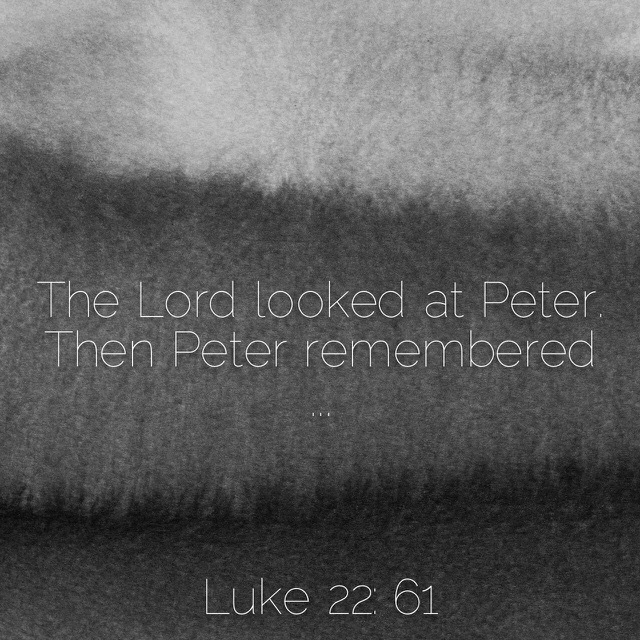 Peter went on to be a powerful apostle, and a key founder of the early church. I have found the large trauma to be the one where I fully throw myself on the Lord: my mother’s cancer, Andrew’s ski injury at 15, the death of Brent. In those times, I know there is nothing I can do, so I must trust and I am held. But the devil is in the details. I create my own suffering when I forget that God’s strength is perfected in my weakness, in the triviality of my day, when I can’t seem to just do the simple mundane task of keeping my papers in order on a daily basis for making timely claims on my health insurance benefits or doing my taxes or even having the right ingredients on hand to make supper. Oh, I can trust God when I suffer great loss, (“To whom would we go? Only you have the words of eternal life” - also said by Peter!) but trusting the Spirit’s leading in the day to day, mundane, necessary, maintenance of life? Oh, I can do that without him. Every time I forget to listen for that still small voice. Prayer: Lord, forgive my unbelief, my forgetfulness that you look at me, walk with me to guide and love and empower me to feed your sheep in every way I encounter them, in every place I go. Only you give wisdom for every big decision and for every tiny task. I need you, oh, I need you!